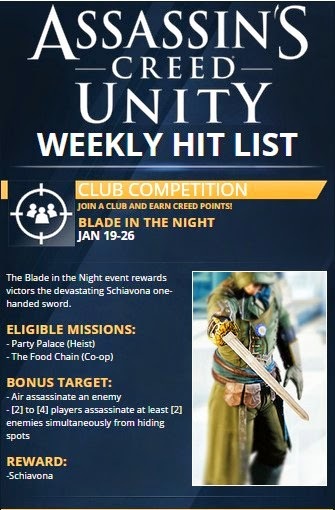 Week 5's details are already out. 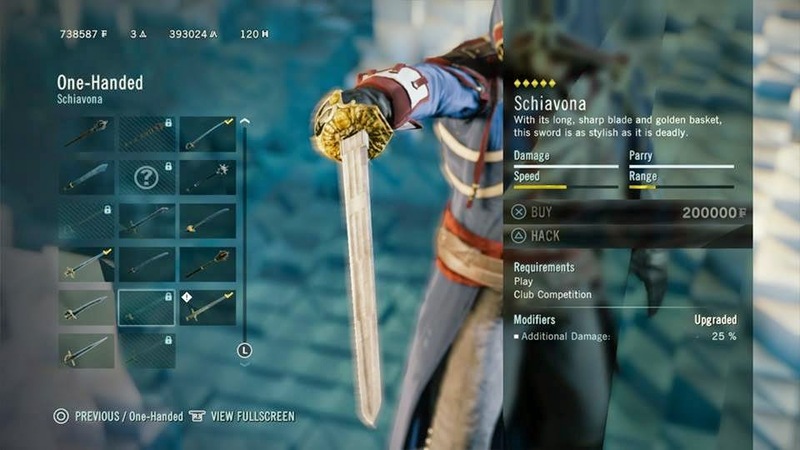 Here's the stats of the Schiavona One-handed Sword. Team AC Unity, the club I'm in, didn't win last week unfortunately. But this week we will be back stronger and my favourite air assassinations will be a joy to help earn Creed points for the club. As always, we welcome you to join our club on PSN, if you are looking for some coop partners. Just add me, Jengoboy or my friend, who is also the club leader, MPDEW on PSN and earn some points for the Creed!